THE make-up of car parks has long been a good indicator of trends in the domestic economy, given that cars are the biggest discretionary expenditure item after purchasing a home. But the car market has also become a key barometer of what is happening in the global economy, and trends in the sector now need to be closely watched to understand what’s going on. At a local level, new car sales hit a five-year low in 2018, signalling a bad year for the motor industry here. Some brands such as Vauxhall and Fiat posted their lowest sales figures in the last 20 years, and Fiat saw sales slump by 45 per cent. This shows that consumer confidence overall remains low. However, the overall picture conceals contrasting fortunes. In the last five years the market could be characterised by rising premium-brand sales and falling non-premium brand sales. It is fair to say that the latter has been firmly in recession for quite some time with sales down for the last four years and falling in 11 out of the last 15 years. Premium brands though have off-set some of this decline. Back in 2003, premium brands such as Volvo, Porsche, BMW, Land Rover and Audi accounted for one in 10 sales. In 2017, this hit one-in-five. But this market has had its first fall in seven years and now appears to be wobbling. This is a warning light that give reason to believe that the domestic economy is increasingly fragile and vulnerable to any shocks. And for this reason, car sales figures will continue to be watched closely by consumer sensitive sectors such as retail and hospitality. At a global level, car industry figures have also given rise for concern and point to significant trends in the global economy. There has been increasing focus on the health of the eurozone economy, with a variety of indicators pointing to a slowdown, particularly in France and Germany. Last week, new car sales for 2018 in Europe as a whole fell – albeit marginally – for the first time since 2013, with the UK and Sweden posting the biggest declines. The US market is faring much better than Europe, where sales are close to record highs. However, there are aspects of the US car market that are acting like a recession has already arrived. A buoyant SUV market conceals a slump in the sedan/saloon market, with factories closing and jobs being lost as a result. But of bigger concern is the Chinese market. Ten years ago, when the executives of the US’s biggest car manufacturers had to go to Capitol Hill in search of bail-outs, China effectively came to the rescue of the global economy, helping avert a 1930s style depression by introducing a fiscal stimulus that re-inflated the world economy and not least the car industry. In the decade since, China has driven car sales growth and was central to bringing about the 180-degree turn from car sales falls to record vehicle sales. Indeed in 2017 China accounted for a whopping 70 per cent of the growth seen in global car sales and is now the biggest car market in the world. As such, the global car manufacturing industry has become increasingly dependent on China and sensitive to Chinese economy and its consumer behaviour. Worryingly for the sector, December saw Chinese new car sales plunge by a fifth, which meant that 2018 saw its first fall in car sales in 28 years. Nearly 24 million new cars were sold in China in 2018, almost a million fewer than the year before. And with the year ending very badly, this creates the prospect of further falls to come in the months ahead. This is linked to a range of issues, one of which is the increasing popularity of car sharing in China, leading to the need for fewer cars. This is a trend that needs to be very closely watched by many people, in part because China is such as major part of the global economy but also because of the interlinkages and interdependence that there are in the world. Jaguar-Land Rover is one company that will be closely watching this trend. 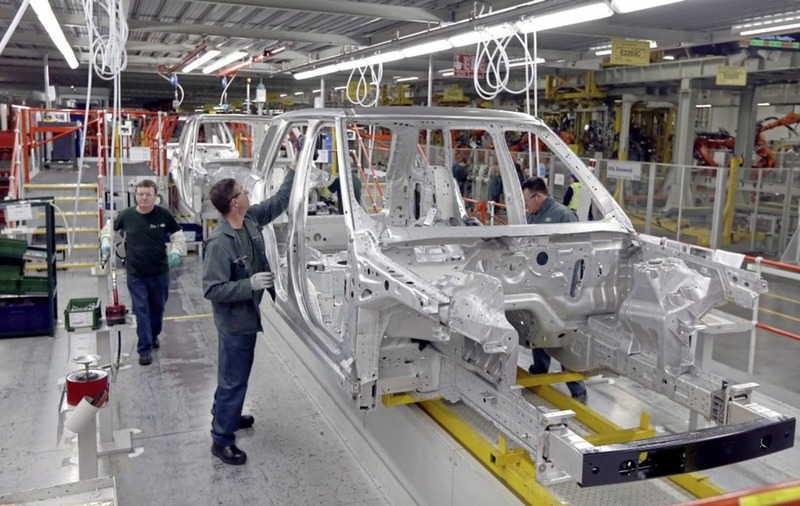 We have already seen how what happens in Shanghai impacts on Solihull when Jaguar Land Rover announced 4,500 job losses a couple of weeks ago, in part driven by the slowdown in demand in China. And it’s not just demand that is a challenge for the car sector. Brexit presents a major challenge for the market in the UK in terms of supply. The industry has already had the impact of Trump’s tariffs, which have been impacting on their costs, and has been changing the location of their manufacturing to circumvent these. In the case of Brexit, tariffs are also an issue. But perhaps more significantly is the potential impact on the supply chain in terms of delays caused by customs checks and delays at ports – a major spanner in the works of the ‘Just in Time’ system. Furthermore, the viability of using UK car component manufacturers across the EU is also uncertain. So, the car industry is at the centre of some of the biggest trends in the global economy at present, including Trump’s tariffs, the slowdown in China, and Brexit. It has also at the centre of regulatory and technological change, as well as changing consumer behaviours. All of this explains why the car industry has become something of a barometer of the global economy as a whole. Indeed, we’re now starting to see other indicators backing up some of the things that the car industry trends have already been telling us. China is now expected to see its weakest growth since the financial crisis and there is increasing talk of a technical recession in Germany. In the UK, lenders are expected to see demand for credit card loans fall by the largest amount since records began in 2007. As car industry trends have been suggesting for some time, slower growth is here and an increasing number of warning lights are starting to come on on the global economic dashboard. :: Richard Ramsey is chief economist at Ulster Bank. Hair Care Tips: Eat These Desi Foods To Prevent Hair Fall And Get Stronger Hair!